Are you planning to go on a hunting trip in bear country? Obtaining the proper hunting equipment and understanding how to effectively use it can prevent a major threat to your life. Bears are a valuable species, but a number of people are afraid of them due to their nature. Understanding how a bear behaves will help hunters understand bears better, making it easier to protect yourself while hunting in bear country. Hunting season is upon us. Bears are extremely active in the fall as they are packing on as much food as possible for hibernation. It is easier to spot the bears in the fall since they are extremely active. One of the reasons why bears often attack is because they are startled. Hunters are focused on being quiet, and they often forget about their own safety. A bear is a solitary animal who avoids people. Normally the bear will retreat if they see or hear a human. They normally strike when they are protecting their young or their territory. Bears are surprised easily, and they can strike when they are startled. One of the most important things you can do is invest in the right clothing and gear for hunting. Clothing you hunt in needs to help you blend in with the scents of the area. Cover your hands and wear clothing to reduce any personal odors. Hunting with others is beneficial as it too will help you to stay safe and obtain medical attention if you are injured. Hunting and cleaning a carcass is a challenge that you need to carefully follow to prevent bears from attacking. A carcass should be stored about 15 feet above the ground so you do not hang it close to where bears can reach it. Never keep food around camp as it can attract bears. It is important to focus on taking precautions before you go hunting. Learn the proper procedures to follow if you encounter a bear. The most important thing you need to remember is to stay calm. Slowly move away from the bear and give them a chance to identify you as a person that is not a threat. If the bear charges you, do not shoot. Most hunters panic when the bear is charging and they start shooting, simply wounding a bear and provoking them. The best option to use is to arm yourself with UDAP Bear Spray. 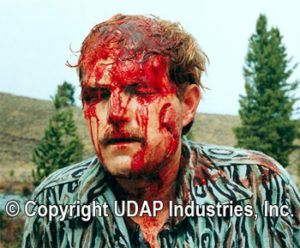 Keep UDAP Bear Spray with you at all times, you never know when a bear might surprise you while you are hunting. With the right preparation and precautions, you can stay safe when you are hunting in bear country. Duck hunting is a popular sport in Wyoming since there are many ducks in Wyoming. Duck hunting offers world class scenes which cannot only be matched anywhere in the world. From rice fields which are awesome in duck hunting, can also be matched with prime ducks places especially in the winter season. A guide can be an awesome aide especially for the first time duck hunters unless you are familiar with the Wyoming duck hunting area. If you prefer not to have a guide, you can simply ask them questions on your way to the duck hunting expedition. Wondering around aimlessly is a waste of time and therefore finding a guide is the easiest way. Many hunters usually waste their time going to places where the ducks are not there. Guides help hunters avoid to the wrong target areas and direst them where the fun really is. In Wyoming, camouflage is a must have in duck hunting expeditions so that the ducks cannot recognize you. Most are water proof and hunters should not worry about any clogging that might happen. Finding the right boat is another top move for any hunters. The boats help in navigating the swampy Wyoming Rivers and streams which the ducks throng. The boats come in different choices with regard to choices and style. They come in different styles as well which definitely suit any duck hunter in Wyoming. Finding the right boat is not difficult as some are well painted and others custom made to suit the hunter’s need. For those who are not out door sport hunters, they should try online duck hunting games. When one comes to play these online games, they develop and stimulate a life duck hunting experience and so hunters can sharpen their skills at home before playing with the real ducks. No kidding!! Another tip about the boat that should be noted is the fact that hunters need to choose a boat that blends with the Wyoming scenery. Bright colors always alert the ducks and so could be a game changer if one decides to go duck hunting. These Wyoming duck hunting tips will definitely help any duck hunter visiting. When you’re duck hunting in Wyoming, don’t forget your Bear Spray! 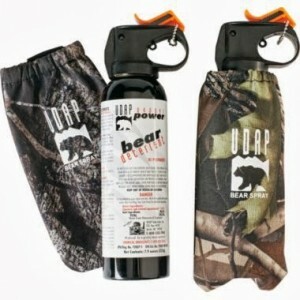 Visit UDAP.com for all of your Bear Spray needs! Bow hunting is an historic activity that has been crucial to the development and survival of the human species. It has endured to be a well-respected sport in our society. If you are interested in becoming a bow hunter and unsure of where to start, this article will offer you beginner’s tips on equipment, licensure, and hunting procedures. The most important part of hunting is doing so legally. Hunting licenses are issued on a state by state basis, so you will most likely need to contact your state’s Department of Game. Once you have your hunting license, you need to look up when and where you are allowed to hunt, and how much you are allowed to kill, all of which are strictly regulated. Once you’ve taken care of your legalities, you can move on to actually hunting. There are two basic types of bow: the compound bow and the long or recurve bow. Long and recurve bows are more primitive, while compound bows are more modern and utilize pulleys to minimize the strength you need to draw back the string. Compound bows are better for beginners since it’s easier to pull and hold the string on a compound. All bows are rated with a draw weight, so you need a good idea of your own strength and what you can handle when purchasing a bow. Deer are the primary target for most bow hunters. Many hunters scope out the area they plan to hunt for weeks in advance in order to find spots that are highly trafficked by deer. Once you have decided on a spot, you may want to invest in a tree stand. Tree stands give you a better vantage point of your surroundings, camouflage you from potential game, and make long periods of stillness more comfortable. You’ll also need to bring materials to navigate the forest and to clean and transport the deer. A flashlight and a map or compass are absolutely necessary when hunting in forested areas, solely for your own personal safety. You’ll also need materials to field dress your deer. Without field dressing, it’s possible that the deer meat will spoil due to its body temperature remaining high. Field dressing involves making a long incision down the deer’s belly, from the sternum to the pelvic area. You want to cut through the flesh but not harm the internal organs, which you will need to remove before transporting the deer. Once the carcass is dressed, use a long rope to haul it back. This is a very basic overview of bow hunting. If you are serious about becoming a bow hunter, visit your local sporting goods or outdoor store and talk to an expert about your specific needs. 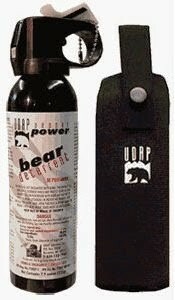 For all of your Bear Spray needs please visit UDAP.com today! Summer is finally here and what better way to enjoy it than by spending time in the outdoors. Kayaking is a fun activity that involves moving across water using paddles. People take up the sport because it is fun, it is a great way to exercise and also allows one or a group of people to be close to nature. There are many ideal water bodies across the country for kayaking but some are top notch and have the best reviews. Glacier Bay in Alaska is adored as a great kayaking location. It features a protected 3.28 million-acre national park that has countless fjords and bays for large scale kayaking. In 1794, the Glacier Bay was filled with ice 100 miles long and 20 miles wide. The ice was about 4,000 feet thick. The glacier has since retreated by 65 miles providing a large area for kayaking. Sea kayaking is a great way to enjoy this bay with trips starting at Bartlett Cover. Reservations should be made early and in advance because of the large influx of people wanting to visit the bay. Before attending, kayakers are required to attend an orientation class. It is intended to answer questions that the person may have, inform the kayakers of the wildlife in the area, and closures that are not accessible during the trip. Baja in California has been praised as a must place to visit for kayaking. The sunsets in this region are beautiful and the air is warm in most months of the year. When kayaking, visitors are given the opportunity to try Stand up paddle boards. The location is beautiful with reefs and is full of sea wildlife. The water is also warm which makes kayaking fun and comfortable. There is a whale migration that happens every January and starts from the Bering Sea and head out 5,000 miles out. The Acadia National Park in Maine is another top spot for kayaking in the US. The park features a water trail that was created in 1993. It offers visitors a chance to explore areas on the over 3,000 miles of coastlines and islands. There are campsites so people can relive their kayaking moments even the next day. Fly fishing in Alaska is plenty of fun for the avid outdoorsman. If you like to fish, there is a huge opportunity to catch many types of fish in Alaska. Fly fishing can be enjoyed in various regions of Alaska and the choices seem to be limitless. There are oceans, lakes, streams, and rivers in most parts of Alaska. The fact that there is salt water and fresh water fishing areas available all over the state makes it possible to catch a wide variety of fish in different environments. Flyfishing in Alaska can be done successfully with some tips and tricks. It doesn’t have to be frustrating for the first-time flyfisherman in Alaska. Depending on the type of water that you want to fish in, there are ways to make it easier and ensure that fishing will be bountiful. It simply requires some useful tips and knowledge to be successful at flyfishing in Alaska. For those that like to fish in streams and rivers, there can seem to be an overabundance of other fishermen. Some of the more popular streams and rivers have this issue. It can make it seem as though the fish are scared to bite. However, there are a couple of tips to help you. Using patterns that are subdued and minimized can be helpful in these busy areas. Make sure to have smaller sizes in your flyfishing gear in case this strategy is needed. Although flyfishing in the ocean is less popular, there are those that enjoy it immensely and are quite successful at catching the many different species in the ocean’s saltwater. Some of the best places to catch saltwater fish species is in the-inter tidal areas around mouths of rivers and streams. Many fishermen report catching plenty of Pacific salmon in those spots along the river mouths and streams that are filled with waters and fish from the ocean. There are still bodies of water in Alaska. The still bodies of water are typically ponds and lakes. Having the right equipment can help access these waters and fish. The use of a canoe or a kick boats is common. Sometimes access to still waters is difficult, often requiring navigation through forests that requires creative traveling. Bears can be a concern in the forest area and having bear spray is recommended at all times, no matter where in Alaska one is fishing. 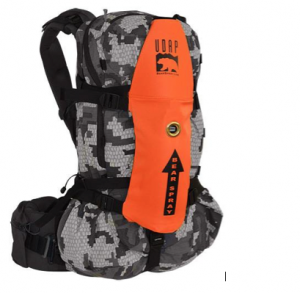 You may also want to try the UDAP Bear Spray Backpack! Once you have found some great fishing spots to enjoy the sport, there are some tips that can make it easier. Knowing some methods that will make fly fishing more fruitful can help. Removing the hook on a fish that is large can be a challenge but it can be done easier. One tip is to turn the fish upside down and this results in the fish not struggling because it becomes disoriented. This makes it much easier to remove the hook and results in less injury to a catch. Having good knot methods for fly fishing in Alaska is helpful as well. A useful tip is to use an open clinch knot as it is one of the most effective knots for anglers. Also, don’t forget to carry UDAP bear spray because Alaska is known for having a large bear population in and around its lakes, forests, and streams. Fishing season is just around the corner and one of my favorite places in Montana to fish is the scenic Gallatin Valley near Bozeman, Montana. They are truly blessed with hundreds of miles of blue ribbon trout water. Those waters include, but are not limited to, the Yellowstone, Gallatin, Bighorn, Jefferson, Stillwater, Boulder and Missouri rivers. Let’s don’t forget the world renowned spring creeks in Paradise Valley, as well as some lesser known but equally amazing spring creeks and lakes in that area. Fly Cast Fishing at its best. UDAP chest holster is a great product and works well for Fly Cast Fishermen or anyone fishing and enjoying the great outdoors. UDAP Pepper Power holsters are designed for an individual to have instant and silent access to the canister. Every UDAP holster is designer for bear spray to shoot right from the holster if time does not allow you to draw it. Before you head out the door, make sure that you are doing more than just carrying your Bear Spray! Make sure that you know how to use it. Practice using it. It took practice to learn how to catch those blue ribbon trout and the same is true for using Bear Spray properly. Practice, practice, practice! Now go enjoy that great Montana Flyfishing! Even though the Chicago Bears didn’t get in the Super Bowl XLVIII, the game between, bear spray vs bullets, has already been played and won. The winner is bear spray hands down! The firearm team played a good game and they believe that a person needs a hand gun or rifle to stop an angry bear. But the pro bear spray team has been adamant that bear spray works. 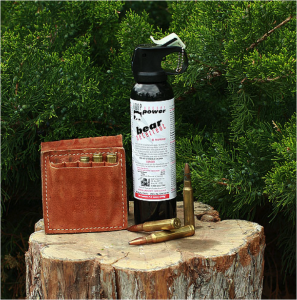 And the bear spray team won this super bowl, but we don’t want you to take our word for it, in a recent study done by Tom S. Smith, Stephen Herrero, Terry D. Debruyn and James M. Wilder bear spray lead its team to victory. Bear incidents involving 175 persons resulted in 3 injuries, all minor (less than 2% injury rate). Firearms incidents involving 478 persons resulted in 17 fatalities (15%), 25 severe injuries (22%), 42 suffered moderate injury (37%), 29 suffered slight injuries (26%), for a total 113 injuries (24% injury rate). Hence firearm users experienced 12 times the injury rate of those using bear spray! Of the 71 cases where persons sprayed bears to defend themselves, 14% (10 to 71) of users reported the spray having had negative side effects upon themselves, ranging from minor irritation (11%, 8 of 71) to near incapacitation (3%, 2 of 71). Firearm failures were identified in 100 firearm cases, where users reported mechanical or physical issues with the use of a firearm, including lack of time (32%), unable to use firearm due to situation, such as having your partner in your line of fire (21%), mechanical issues (11%), safety/holster issues (95), insufficient caliber/no bullets left (9%), distance to bear (8%), missed bear (6%), or tripped and fell (4%). No bears were injured in conflicts involving bear spray, however, 23 bears were wounded and 176 killed in incidents involving firearms. 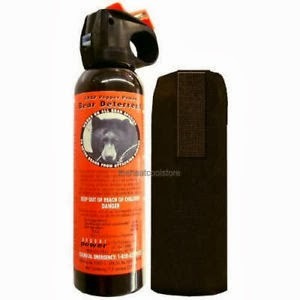 Bear Deterrent Pepper Spray works better in a bear attack situation because of its ease of use. Aiming is not a big factor like it is with a firearm and you are not relying on a bullet to stop the bear by hitting it in a vital spot. Even when this is the case, sometimes the bear can advance and attack if it does not expire right away. This can actually work against the gun user as now you have a wounded bear and this may intensify the attack. With bear spray you’re not stopping the bear with pain necessarily. You might think this as it really is painful to be sprayed. However, what you’re really doing is taking away the bears senses. The bear’s sight is impaired, but more importantly its breathing and sense of smell are blasted away by the spray. Anyone that has ever been hit with a fog pattern pepper spray can tell you how difficult it is to breathe when sprayed. It actually can be like a shot to the head, since the bear navigates primarily with its nose. For a bear, this is certainly the case. The bear will have no idea what is happening and this changes the behavior the bear was displaying prior to being sprayed. 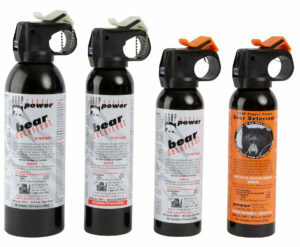 When you use bear pepper spray you’ve truly have the home field advantage! GO UDAP BEAR PEPPER SPRAY!